Meliora is the third sacrificial offering from Sweden’s Ghost. Hailed by some as a gimmick, Ghost, with their nameless ghouls and front man Papa Emeritus, now in his third incarnation, are anything but a gimmick. Meliora opens with Spirit, setting an eerie, demonic atmosphere for things to come. For me, there’s a strong hint of War of the Worlds to this. Running to ten tracks in total, Meliora is best described as an amalgam of death metal, 80’s hard rock, some corporate rock, a hint of grunge and more than a smattering of church organs. Highlights are From The Pinnacle To The Pit with its heavy bassline intro and hissed vocals. Love it! Cirice starts off gently – acoustic guitars, delicate hi hats, keyboard then enter the clergy in full force! Very Metallica-Slayer-esque. This is a huge anthem and is sure to prove a firm favourite with fans or should that be with the congregation?He Is draws on an entirely different influence. Strong hippy-dippy flower power at work here with some hints of Blue Oyster Cult. Mummy Dust is perhaps the heaviest track out of the offerings with its classic chugging bass and death and death metal drum intro, again heavily Metallica/Slayer influenced, then add in the keyboards and the demonic vocal of Papa Emeritus III and this may be the best track on the album. Absolutely love it! Devil Church adds yet another dimension. This instrumental with its soaring church organ slots in towards then end, adding a little decorum to proceedings. Deus In Absentia brings the sermon to an end. 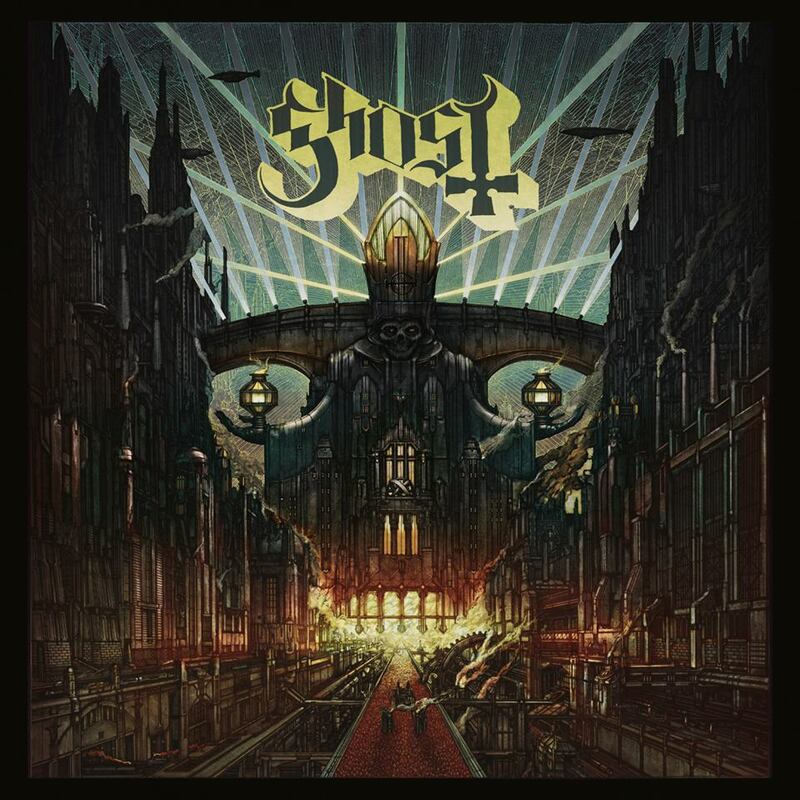 With its metronome backing, Ghost bring this album to a soaring close. Meliora is Latin for “the pursuit of something better”. Ghost have succeeded in their pursuit. I love the anonymity of the ghouls and Papa Emeritus III, the quirkiness of the set-up, however if this record is the success it deserves to be, Ghost won’t be able to remain nameless ghouls for long. This entry was posted in Uncategorized and tagged #music, #musicreview, #rockmusic, Ghost, Meliora. Bookmark the permalink.